Rachel Flowers is very excited to tell you that her first album, Listen, is now available! Is it jazz? Is it classical? Is it rock? Continuing in the tradition of her idols Keith Emerson and Frank Zappa, Rachel creates music that defies the boundaries of categorization. Rachel invites you to sit back and Listen. So delighted for you Rachel, and what a great record!! Take my money! 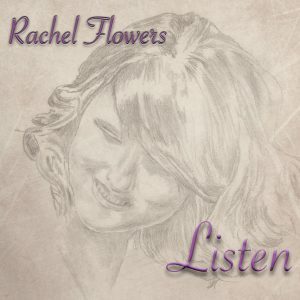 Wow, Rachel … “Listen” is nothing short of a masterpiece. I love the entire eclectic collection on your debut album. I am impressed and moved beyond words. I had very high expectations for your first CD release, and you did not disappoint in any way whatsoever. Your composition, performance, and orchestration on all of your tracks on “Listen” are absolutely magnificent. Aloha, Part 2 is simply amazing! This is a wonderful CD Rachel. I was expecting something pretty good, hoping for something really good, and you have gone and delivered something exceptional. Thank you. After receiving my copy of Rachel’s new album, it left me speechless. I have not heard such amazing compositions since the days of ELP. Rachel is a rare talent, with true soul. The world will know who you are soon, as true talent will always be discovered. Good luck Rachel. Greg Lake and Keith Emerson would be very proud of you. Been knocked out by what I’ve heard today, I only discovered your music a few hours ago and you play beautifully and I love your sensiblity to the music. I’d buy you a Roli Seaboard if I had the money after hearing your Satriani cover on the keys, but your an amazing guitarist as well I find so nothings holding you back anyway. I’ll just have to buy your music instead. It’s been a pleasure to find your work. it’s very special to me already. Picked up the Mp3 today at Amazon. Awesome songs and performance! More please! Thank you for this great music, it is electrifying and touching. your musicality is outstanding. I’m looking forward to more music from you. You are my new heroine. 🙂 Greetings from Germany. You have brought back the music! I like to say..”yeah, back in the ’70s we used to think..wow..ELP, Beatles, etc now..IMAGINE how music will be 50 yrs. from now! !… only to be shocked to see the popular music turn into dirty loud nursery rhymes, year after year! … until now.. you have picked up the ball that got dropped after 80’s technology began to plunge music into a downward non creative spiral! The scope of your orchestrations, from the tiny nuance, to the sweeping panoramas of sound are breathtaking! And you are totally original… of course, its prob annoying to hear others mentioned when defining your music… but this is just the identification markers we use…for the nearest style.. so in “Conversations” its maybe in the style of Debussy, but totally Rachel original… I’m sure this happened throughout the centuries..so keep up the amazing work! Christopher, you couldn’t have said it better. The year was 1975 for me, the year the “music died”. It just seemed to happen all at once. Will it ever return, I wondered. Well, we did have Pat Metheny and some others to carry the torch, but now here is Rachel, 42 years later, bringing it all back. I am almost in tears as I write. It just is so incredible for us to have this talent to enjoy. A huge thanks also to her mom for her influence and guidance. I am 63 and have a long memory. I just sat and listened through the album from cover to cover. What a treat for my ears! Rachel, how many pictures your music created, beautiful inspiring and a true adventure. It took a bit of searching, but I finally found out that the wind instruments in ‘Dawn Points’ were from a synth library. Is that right? The sounds were stunning, especially the bassoon and oboe; and as the liner notes on the CD case only state ‘all songs composed and performed by RF’ I thought- holy crud, another amazing talent that I did not know about! Learning they are midi voices actually does nothing to lessen their impact, as it’s not just the voices but how they are utilized that shows Rachel’s remarkable skill (and ears)! 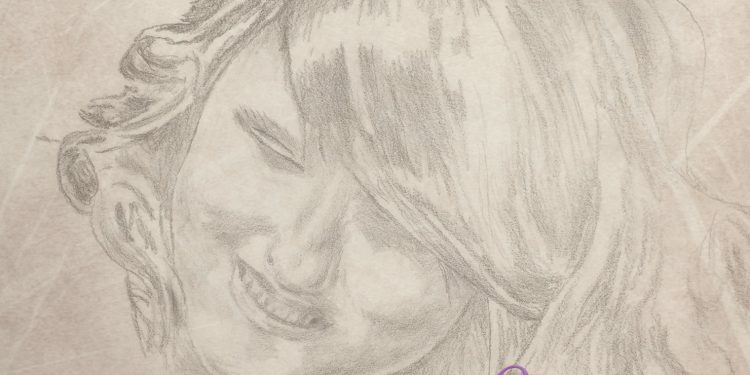 I honestly am as amazed by Rachel’s compositional skills as I am by her chops. So many layers and subtleties… I’d love to hear about the recording process, perhaps this is covered in the Movie which I must see. After hearing of Rachel for years and being lucky enough to be in NJ for Progstock, I am giddy with the joy of discovering a newfound favorite that is still near the beginning of her journey. I hear (hope this doesn’t offend) shades of Pat Metheny, great ECM classics, Oregon, of course Keith Emerson, the piano greats… I’m a bit embarassed to admit that this cd went right to my car when I returned to CA from NJ– and slipped behind the seat, where I just found it a few days ago. Very nice soprano tone on Goes to Eleven– now I KNOW that’s real! I imagine if Rachel were to pick up oboe or bassoon she would be outstanding on those in no time as well. Hope this note finds Rachel and her Mum well, and I anticipate the next time I am lucky enough to be in the same room with this astonishing musician and composer. I cannot express adequately how very excited her music makes me. Congratulations and thank you! I’ve just finished listening to this disc, (wow and again wow) and, while trying to find more info about how it was ever made, I ran into this quite enlightening comment only to find out after having read it, that it was penned by no other than my favorite Saxman!!! I only wish you’ll make it to next CTTE somehow, Jamison, so we can enjoy Rachel’s show together, hermano!